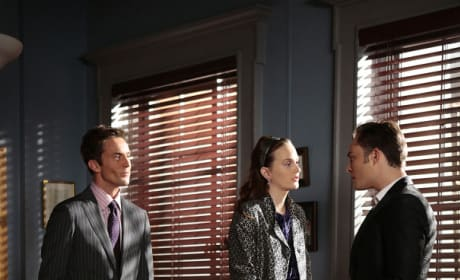 Chuck and Blair in a photo from the Gossip Girl series finale. 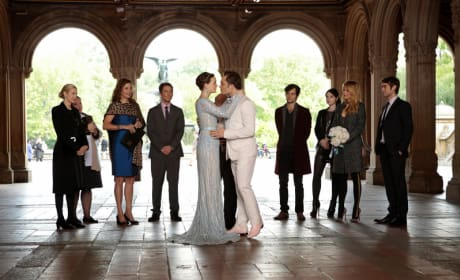 "New York, I Love You XOXO" airs December 17, 2012. Looks like they're trying to make a break for it! 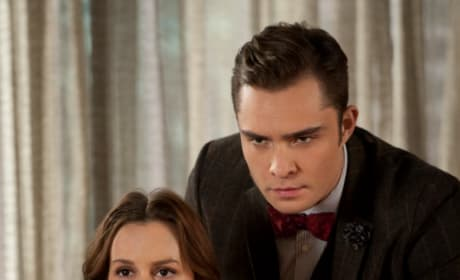 Chuck and Blair in a wedding photo from the Gossip Girl series finale. 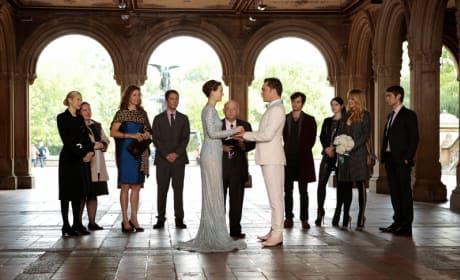 "New York, I Love You XOXO" airs December 17, 2012. 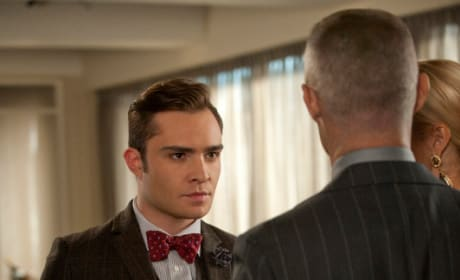 Chuck stares down his father in this Gossip Girl scene. 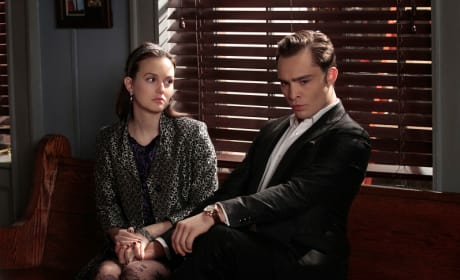 It's not gonna be a fun Thanksgiving for these two. 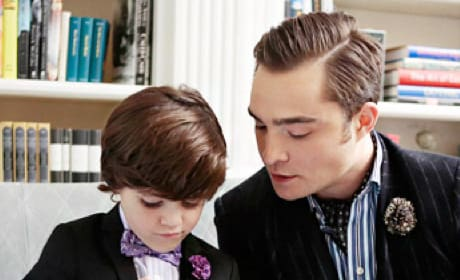 This is not a laughing matter for Chuck and Blair. 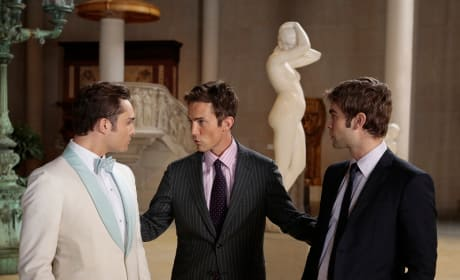 They put on their very serious faces in this Gossip Girl scene.